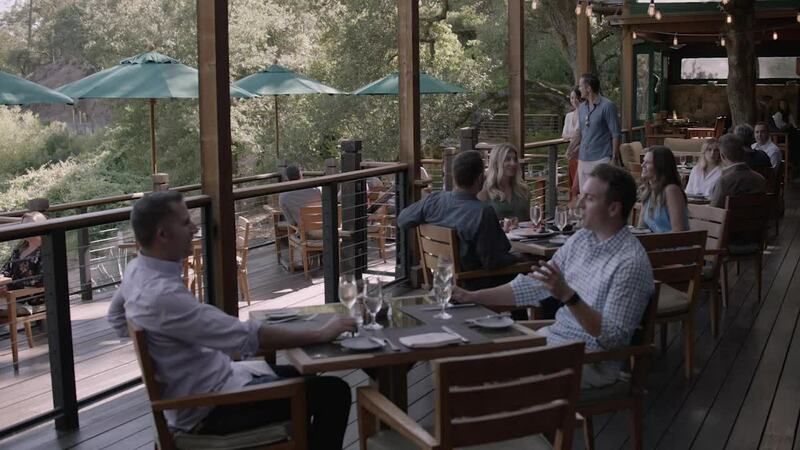 Our private Napa restaurant features artful, inspired creations that showcase the best of Napa Valley's fresh, seasonal, and organic ingredients, complemented by an extensive International wine list. Enjoy the peaceful stillness of dining on our expansive deck overlooking serene Lake Lommel, or remain indoors, where stone walls and vaulted timber ceilings are inspired by the natural surroundings. Floor-to-ceiling glass doors open onto pastoral views of magnificent oak groves and the lake. Our dramatic, private setting overlooking Lake Lommel and surrounded by ancient oak trees is undeniably romantic.